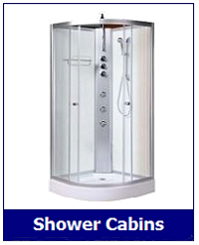 As detailed on our Delivery Information page, customers are allotted a strict 48 hour period to check their shower delivery and report any damage and missing parts. ​However, Insignia do understand that sometimes, you do not always have the time to check everything on the day it arrives, hence why they now offer their Delivery Gold service. 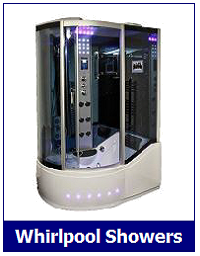 Designed to give you more time to thoroughly check your shower after the delivery, it's perfect for those customers who want to protect themselves and particularly, if the unit is not going to be installed immediately or within the first few days. 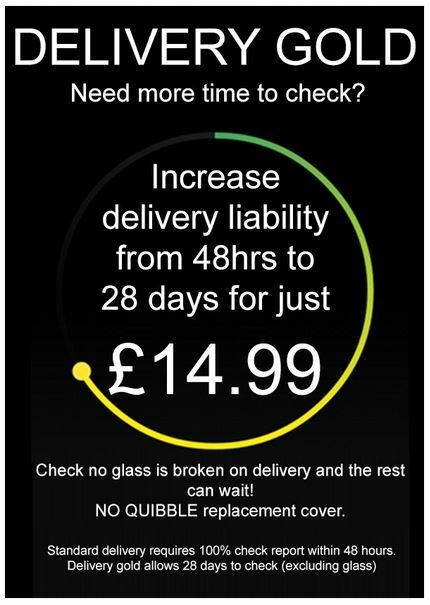 Whilst Delivery Gold does NOT cover glass breakages for an extended period, (this MUST still be checked and reported within 48 hours) everything else on the shower can wait and its a no quibble replacement. So should you need more time to check your shower purchase on the day of delivery, take up the Delivery Gold service from Insignia and extend the checking time for up to 28 days. IMPORTANT:- Insignia's Delivery Gold Can Only Be Purchased BEFORE Your Delivery Date.